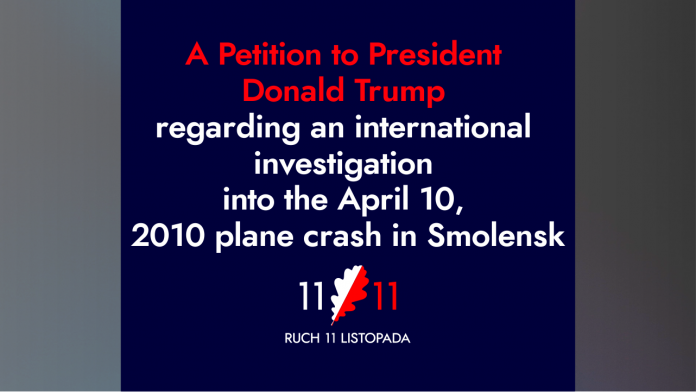 We the Free Poles wish to make a plea to you, Mr. President, as the leader of the Free World, in the face of our country`s helplessness, to initiate an international investigation into the 2010 plane crash in Smolensk, Russia, which killed the Polish President, along with 95 representatives of Poland. Those on board were on their way to the 70th commemoration of the Katyn massacre of Polish intellectuals, politicians and military officers by the Russians in the Second World War. In 1939 Poland was the first to stand up to Germany and Russia in defense of the Free World. In the Second World War, of all the Allied nations, the Polish nation contributed the largest percentage of its men and women to the Allied armed forces. Also, Poland sustained the greatest human loses among the nations fighting with the Hitlerite and Stalinist totalitarianisms. As a result of the Yalta Conference in 1945, the Poles were left under the rule of Stalin. Contrary to a commonly held belief that Poles regained independence in 1989, Poland remained under the behind-the-scenes influence of Russia and Communism. The political changes were largely in appearance, and the Communists` role in Polish politics and economy continues to be pervasive. 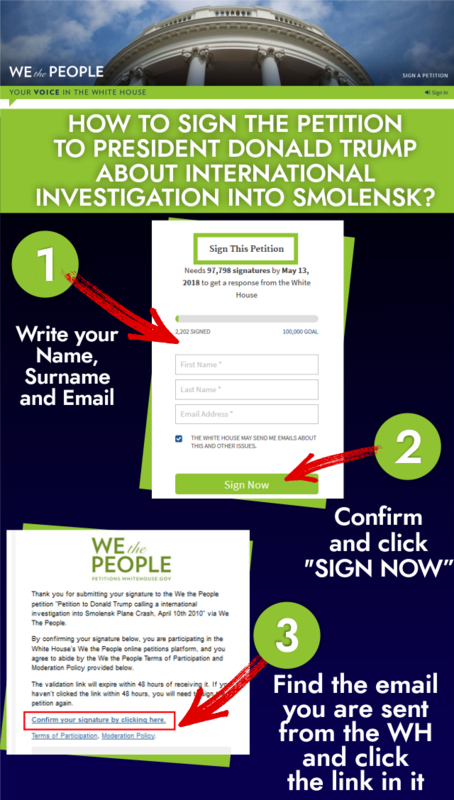 Poland continues to be exploited economically by Russia and Germany, and the 2010 plane crash in Smolensk has demonstrated that even the greatest Communist crimes may continue to go unpunished. We the Free Poles refuse to accept this state of affairs, which you could witness yourself, Mr. President, during your visit to Warsaw in July 2017, where you were greeted as the leader of the Free World, in whose Presidency the Poles place their hopes for full independence. „The responsibility of preventing a Communist seizure of Italy, France or any other country, and of restoring freedom to Poland and to other nations, rests on the people of the United States and of all other democracies.” (Arthur Bliss Lane: I Saw Poland Betrayed, 1948). The policy of appeasing Russia, pursued by President Obama, resulted in Russia first killing members of the Polish elite in 2010, then attacking Ukraine, and then getting involved militarily in Syria. By no means is it the end of Russia`s imperialistic appetites. 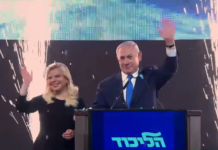 We are convinced God Himself has placed you, Mr. President, at the helm of the United States and the entire Free World, to carry out the mission of containing the brutal tyranny, intending to enslave the whole world. An international investigation into the 2010 plane crash in Smolensk has become more urgent than ever, now that the Polish Parliamentary Special Committee to investigate the crash, led by Minister Antoni Macierewicz (and aided by American and British aviation experts), has established beyond doubt that the aircraft with the Polish President Lech Kaczynski on board was not destroyed on the ground but in mid-air, as a result of explosion on board. Throughout the entire history of the United States, millions of Poles have contributed their toil and shed their blood to build the greatness of America. Today we ask America to come to our aid and help us rebuild a free Poland. Leaders of the November 11 Movement, the only anti-Communist and Biblical party in Poland`s history. Poprzedni artykułPolish anti-communist party condemns Juncker! Następny artykułMarian Kowalski ogłasza swój start w wyborach na Prezydenta!